Yosemite National Park is found nestled within the Sierra Mountain Range of Southeastern California. 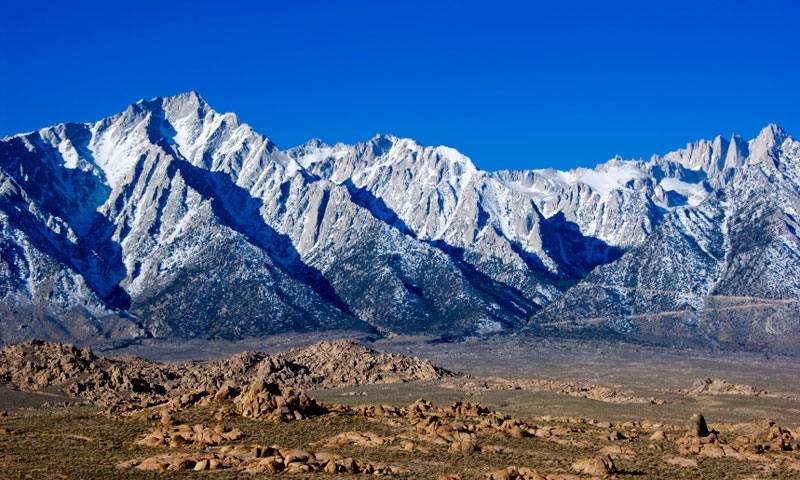 A unique ecosystem, the Sierra Nevadas rise up from Eastern California and provide a home to many animals and creatures. Luckily for park visitors, Yosemite contains many of the High Sierra's most stunning features. Yosemite is, in fact, one of the largest unbroken blocks of Sierra Nevada habitat left. The Sierra Nevadas, Spanish for the Snowy Range, are a large part of what makes Yosemite National Park so striking. Tall granite peaks that rise up out of Eastern California, the Yosemite crest of the Sierras is found at Mount Dana and Lyell, where the range reaches up to just over 13,000 feet above sea level. These 10 million year old rocks were pushed up out of the earth's crust and then carved out by rivers, streams and glaciers. The Sierra Nevadas within Yosemite are home to many exciting plants and animals, including yellow pine, black oak, ponderosa pine, white fir, sequoias, cedar, mule deer, black bear, bighorn sheep, gray owl, golden-mantled squirrel, pika and marmot.